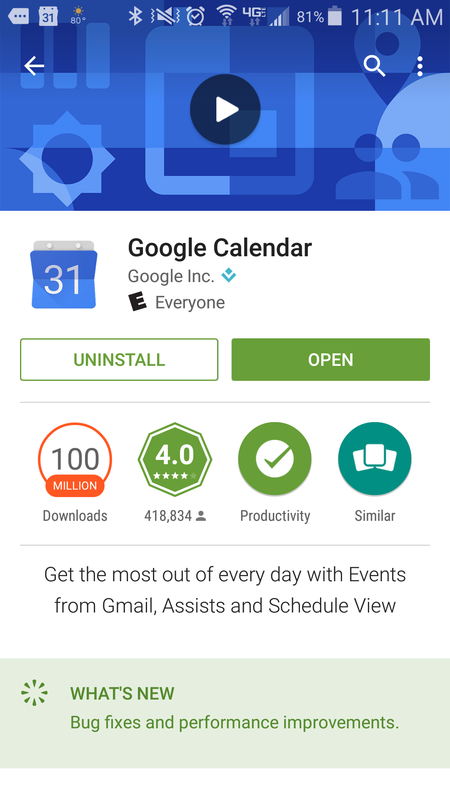 We recommend the Google Calendar app for the best experience. On your device, touch Settings*. Touch Existing* to use your existing account. 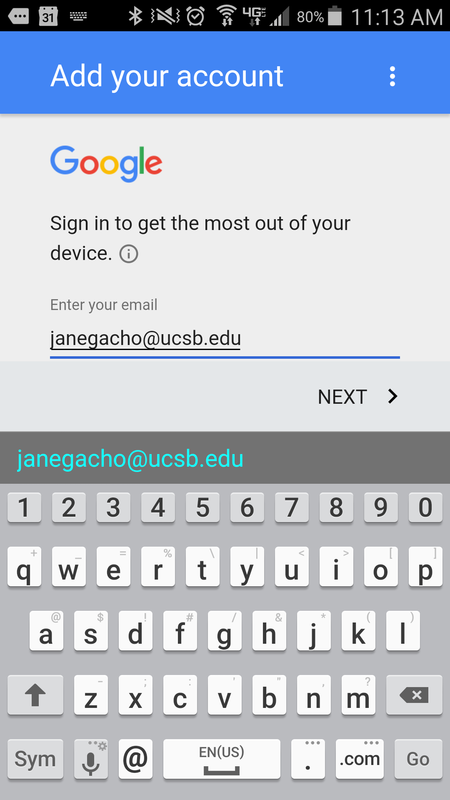 Follow the onscreen steps to add your UCSBnetID@ucsb.edu account. * The names of these options, menus, and menu items can vary by device. Refer to the documentation that came with your device, or see the Android OS Help Center.